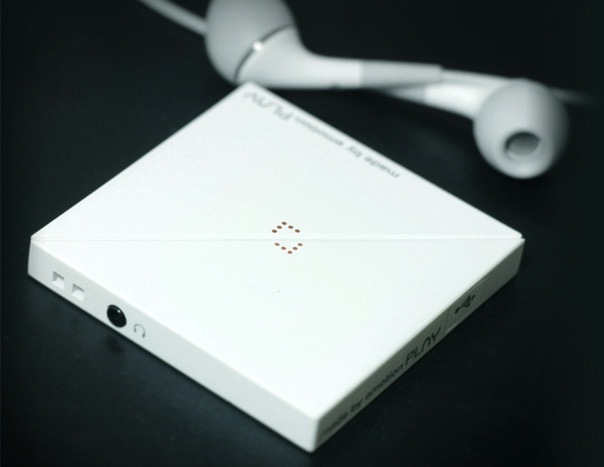 Designed by Jun Pyo Kim, Keun Sol Kim, Sung Mi Kang & Joo Hee Park, this MP3 player’s interface design does away with all the buttons. Instead, there’s a single hinge down the center. 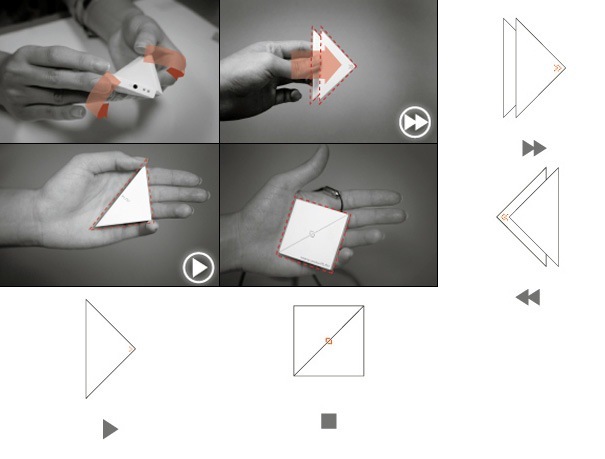 To play, you fold it halfwise, to form your standard play icon. To fast forward, you slide on layer slightly forward–thus making the fast-forward icon. Maybe not the most practical design–and perhaps too gimmicky to garner any broad appeal–but still, you’ve got to wonder when the interface design for electronics will become less about buttons, and more about an actual physical interaction. For example, these speakers which have a telescoping sleeve that controls the volume (just click the link and you’ll get it); or this squishy touchscreen. As the guts of our electronics evolve, why shouldn’t the interactions change as well, to make the devices more intuitive? There’s got to be something more than multi-touch.